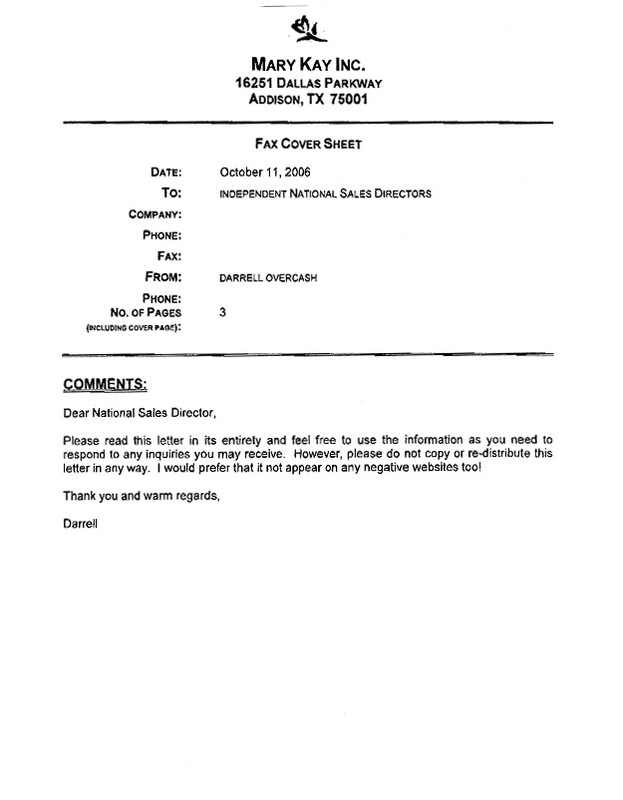 Yesterday, someone asked to see the actual fax that was sent from Darrell Overcash at Mary Kay Inc. to the company’s national sales directors. Ask and you shall receive! 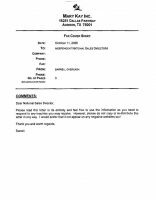 The actual fax is shown below. I have appreciated all of the comments on the letter and on the site. I am particularly excited about the amount of traffic it has generated. The more women we reach with the truth, the more effective our public awareness campaign will be. 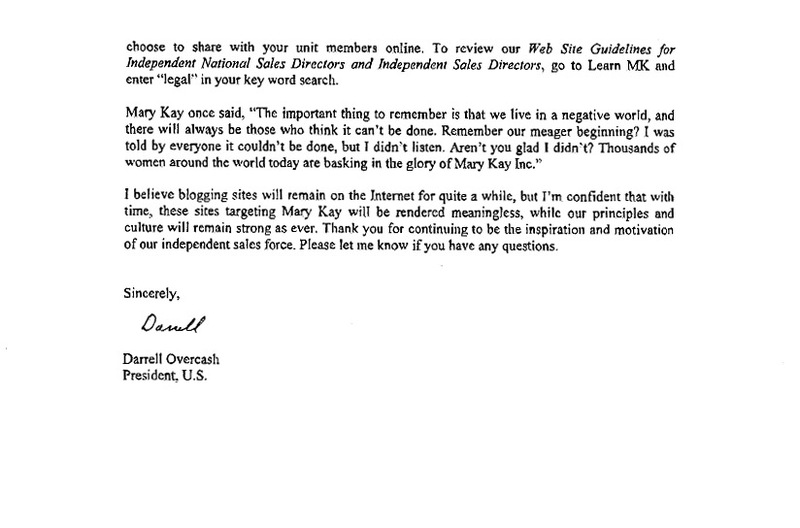 In my opinion, this letter from Darrell indicates EXACTLY what is wrong with Mary Kay Cosmetics. It is the hiding of information during the recruiting process and the fact that the company and its representatives are not forthcoming about the true earnings of consultants and the level of effort required to produce those earnings. 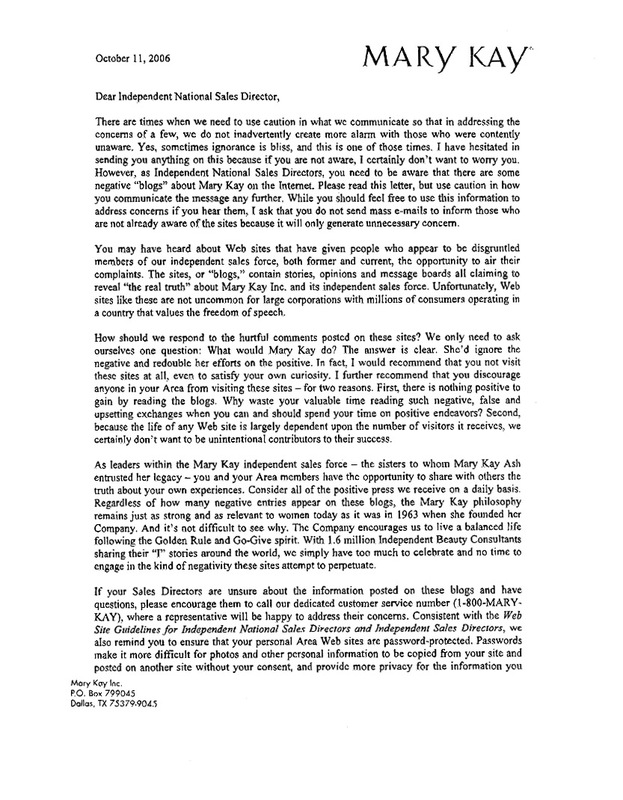 Let’s hope that this letter becomes the start of the change that is desperately needed by the current and future independent beauty consultants of Mary Kay Inc. I have also gotten many inquiries about who gave me the fax. There have been many guesses, but NO I’m not going to tell you. Do you think I’d really rat out a source as important as this one? Surprise! Mary Kay NSDs now must EARN the right to go on the NSD trip!